Parmesan pizza dough is a favorite of my family! Everyone loves the flavor of the cheese in this Parmesan thin crust pizza dough recipe. It is also so easy to make. 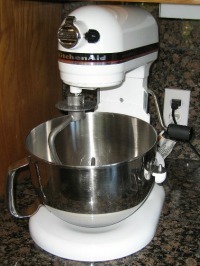 Instructions provided for using your stand up mixer or bread machine. Once cool, using your Pizza Cutter or Pizza Wheel to cut your pizza into slices and serve.